The black at the left of each moulding photo, represents the cross section of the moulding profile. cuts and looks like wood, because it is wood. It is as tough and durable as wood, because it is all wood. higher. 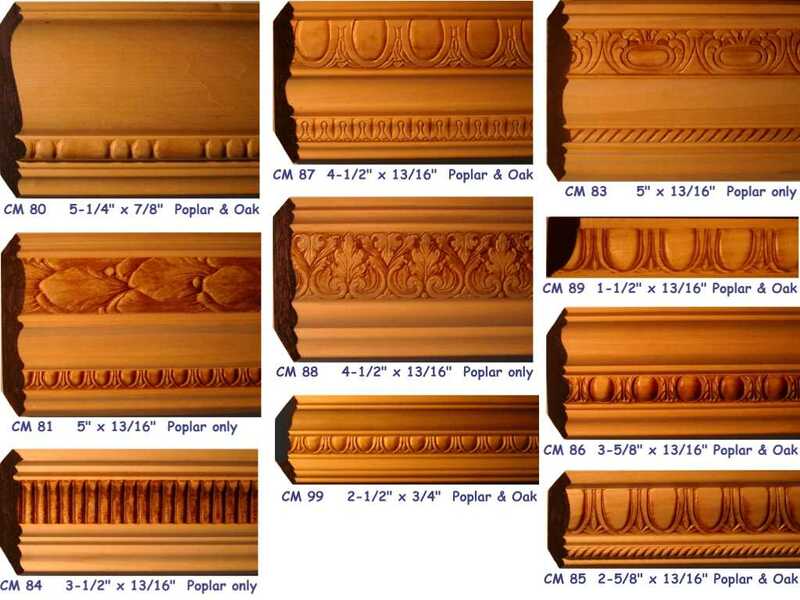 Larger crown moldings can be built up using crown extenders.